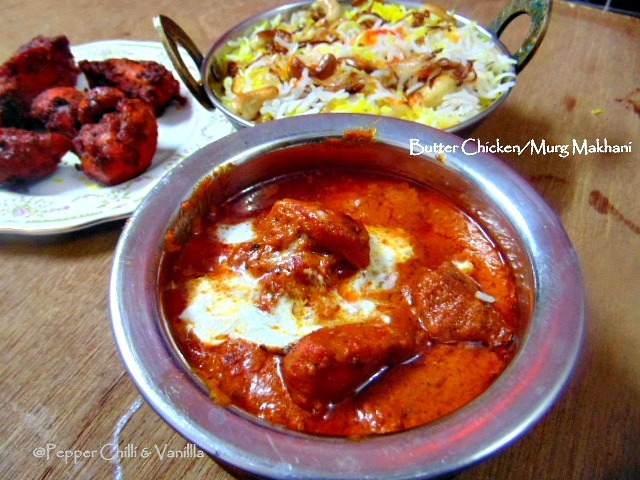 One of India's most popular dishes and most ordered dish from Butter Chicken is one of my favourite dish .Rich and creamy yet mild Butter Chicken/Murg Makhni goes well with Naan Pulao or Jeera rice..I had served this with Plain Biryani Rice which is already been posted in the blog last May . 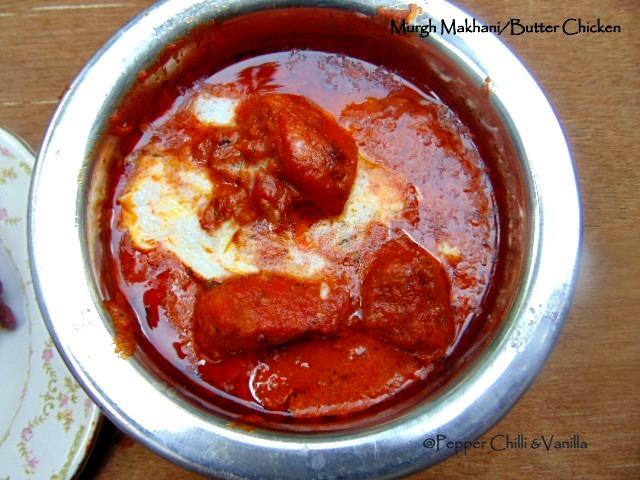 I have already posted Butter Chicken in my blog before but this Butter Chicken/Murg Makhani is a different recipe.This Butter Chicken/Murg makhani has been in my drafts since a year now . There is no onion no cashew paste used yet the gravy is thick creamy and delicious...Please do not skip the cream you can add 1-2 tbsp if you do not want a very rich gravy.I have used less butter you can increase the the amount as per your taste.The recipe is very simple and the ingredients are easily available in your pantry so go ahead and make Butter Chicken today. 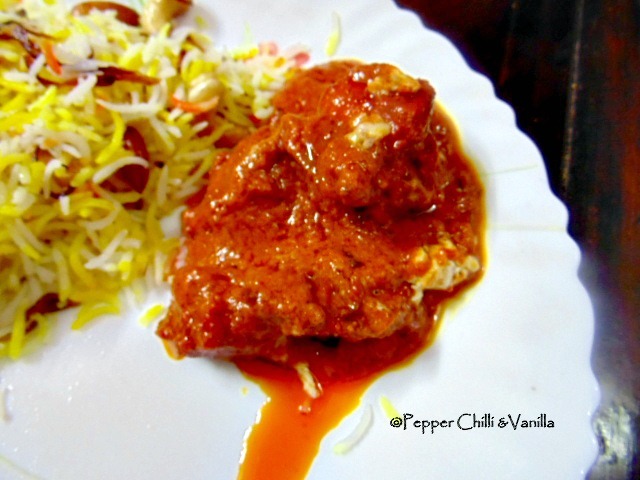 Marinate the tandoori chicken and grill/pan fry it..check the recipe for more. 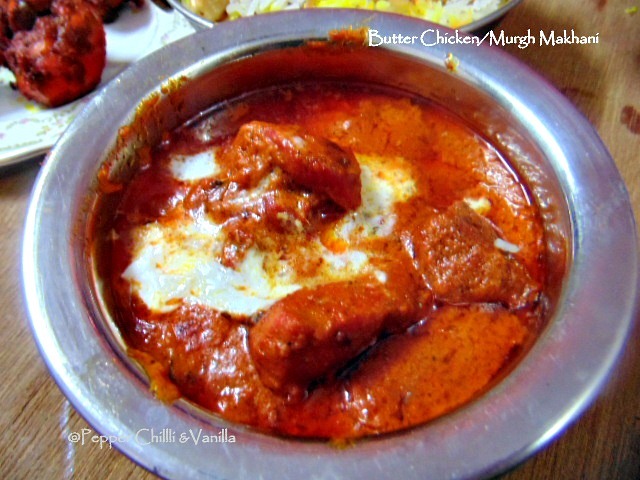 You can skip the coal smoke part from the tandoori chicken recipe but it would give a nice aroma and restaurant feel to the butter chicken. I have used amul fresh cream you can use any fresh cream which comes in tetra pack. Sugar /Honey is added to balence the sourness from the tomatoes. Oh dear dear Gloria, I am totally floored by the colour of your dish. Looks simply outstanding and just too good. I am in love with this dish of yours which looks so droolicious. Tasty tasty. Goodness! 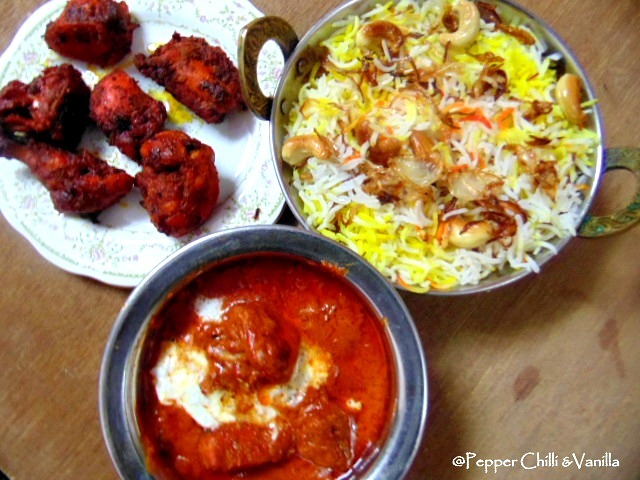 This vibrant dish is truly turning my hunger pangs right now. Just so good. Lovely color and flavorful recipe! It looks so delicious.And that color is so tempting.